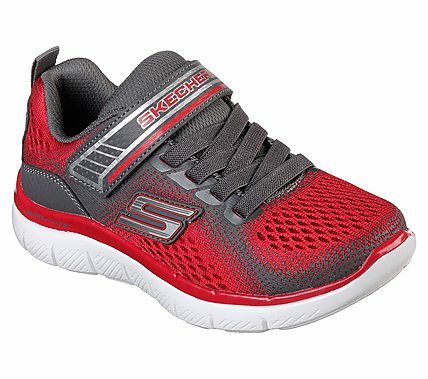 World-beating sleek style and comfort combines in the SKECHERS Flex Advantage 2.0 - Geo Blast shoe. Soft engineered knit mesh fabric upper in a slip on stretch laced athletic sporty training sneaker with top strap and stitching accents. Air Cooled Memory Foam insole.